Naomi Grace Scott is an English actress and singer. She is known for starring as Kimberly Hart , the Pink Ranger, in the 2017 Power Rangers movie and co-starring as Maddy Shannon in the science-fiction drama series Terra Nova. Scott born may 6th 1993 in London, England. Her mother, Usha Scott (née Joshi), is of Gujarati Indian descent from Uganda , and her father known as Christopher Scott, is British. Both parents are pastors at the Bridge Church,located at Woodford in Redbridge. Scott participated in missionary/outreach work. In June 2014, she got married to footballer Jordan Spence after four years of dating. 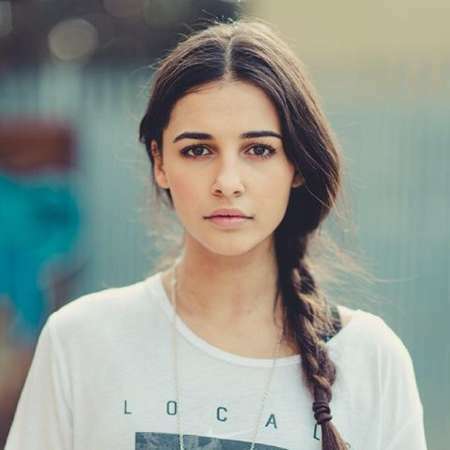 Naomi Scott began her singing career with the Bridge Church Youth Band and later attended Davenant Foundation School, while she performed non-stop in school musical and drama activities and productions. Her passion for music and drama later led her to British pop singer Kelle Bryan from the all-girl band Eternal, who signed her as a client. She left to work with British songwriters and producers. She looks charming and has been the apple of an eye to many of her male fans since her breakthrough into fame. She looks absolutely stunning in any of the outfits she wears. She has traveled to Slovakia to teach English and also performed with her youth band. Her first major acting role was a Disney Channel UK series Life Bites in 2010, she later cast as Mohini "Mo" Banarjee in the 2011 Disney Channel original movie Lemonade Mouth, which was her first role in an American production. She was cast as Maddy Shannon same year, in the science-fiction series Terra Nova which premiered in September 2011 on Fox .